Home tips How to use solar panel to recharge battery by electric light? light to make electrons move. The cell is made up of two different layers that are stuck together. The first layer is loaded with electrons, so the electrons are ready to jump from this layer to the second layer. That second layer has some electrons taken away. It is ready to take in more electrons. When the light hits an electron in the first layer, the electron jumps to the second layer. That electron makes another electron move, which makes another electron move, and so on. So the light started a flow of electrons, or electricity. What happened when we use electric light? Simple, the solar cell do the same thing. The light that is sun light or artificial light is not a fact , it just hits electron and produces electronic flow which is current flow or electricity. 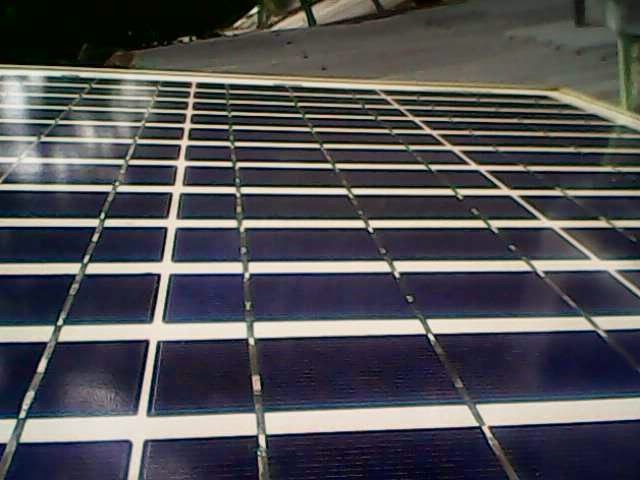 How to place light at solar panel? It is too much easy. This not a fact how you place bulb. Just give light to panel and it will give you electricity. I used two pipe , three bulb, a plate to place bulb holder and some cable. 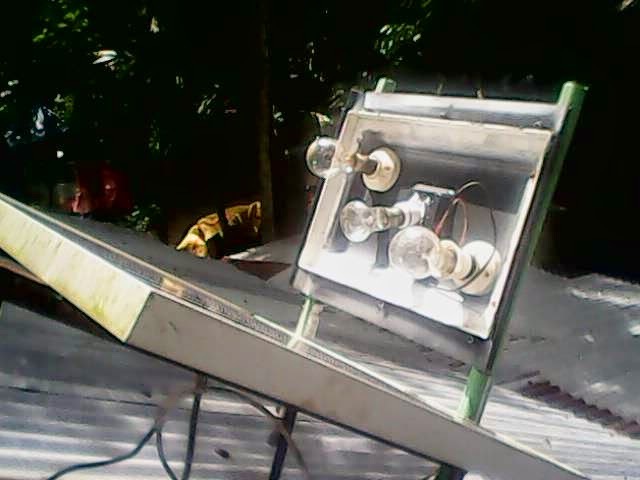 So, try it as you can and recharge battery at night using electric light and solar panel. How to use solar panel to recharge battery by electric light?Sometimes, our solar panel can't gate enough light to recharge battery. It may for trees , also can happened for weather. 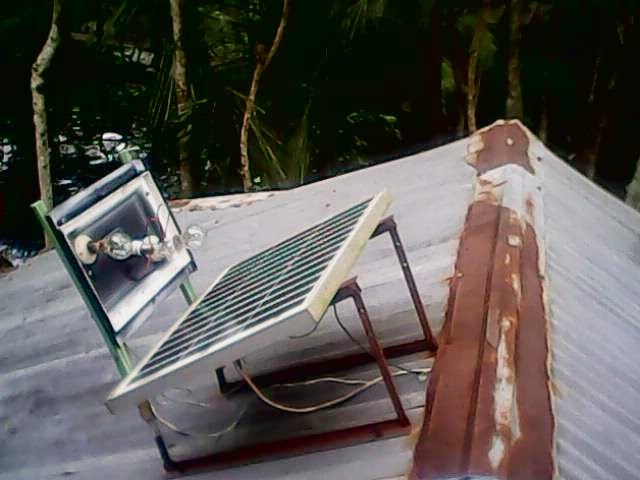 In rainy season and also in winter , sunlight can't reach to panel enough. So we can help solar panel to produce electricity and get rid of from load-shedding.How to use solar panel to recharge battery by electric light?